ENTER THE NUMBER OF FEET YOU WANT IN THE QTY BOX BELOW. 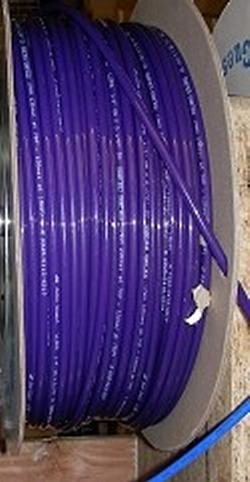 John Guest Polyethylene (PE) tubing by the foot: 3/8" VIOLET (Purple). 3/8" (.375") .250" 230PSI @ 70F 1.25"
For use with John Guest Fittings.